Other photos: Actual boat at anchor this summer, Accommodation Layout, Helm, Helm seating, Saloon flooring, Photo 6, Saloon seating, VIP Cabin, Photo 9, Guest cabin, Master cabin, master cabin Head, Master cabin tv, new carpets, Saloon, Photo 16, Engine room, Tender, tender garage, stern seating, Nav seat, engine hours, engine hours. SYS Yacht Sales is pleased to assist you in the purchase of this vessel. 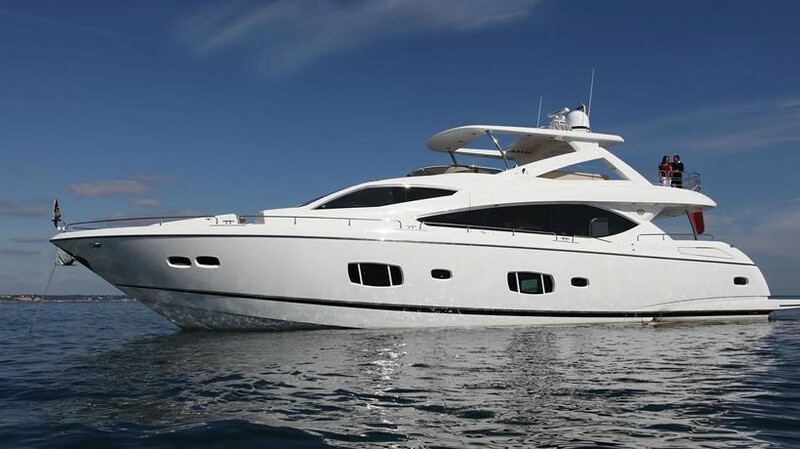 This boat is centrally listed by Serenity Yachting.